Tell us a bit about your business, and your local community. Why are you passionate about what you do? Bells Shoes is retailer of branded footwear operating the spa town of Buxton, UK. First opening its doors in 1890, the business has been the destination for comfort shoes in Buxton and neighbouring towns for over 120 years. Our target customer is between 30 and 60, relatively affluent and, more often than not, female. In 2007 we opened bellsshoes.co.uk and what followed was a rapid online expansion into different websites and marketplace channels, both in the UK and internationally. Our online sales now make up more than 95% of revenue, but we’re careful not to forget our roots and still pride ourselves on the great service and quality products provided by our bricks and mortar store. We employ a careful buying strategy, making sure that our seasonal offering is both on trend and well targeted to our customers. All areas of the business feed back to our buying team to ensure that both online and in-store interests are well represented. 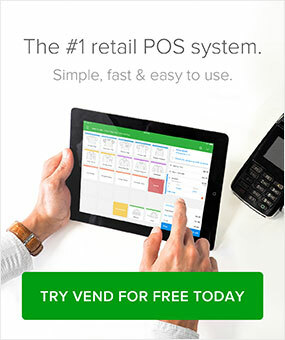 What brought you to using Vend? We had invested heavily in our ecommerce & warehouse software but had not moved forward at the same rate in our retail store. We moved from a legacy EPOS to a modern cloud solution in 2015. The new software was capable in a retail setting but it was unable to cope with the complexity and scale of our online operation. Within 12 months it became clear we needed a more versatile solution. However, we found that most of the POS offerings didn’t work well with ecommerce and warehouse systems and the few that did were not feature rich enough for our bricks and mortar ambitions. Then we found Vend. It had excellent back-end connectivity, allowing it to be easily integrated into our ecommerce and warehouse systems. Ease of use was also a key factor – Vend did everything we needed it to do, all presented in a user accessible and reliable UI. Bells Shoes has been successfully selling online for 10 years and operating a store for over a hundred. How do you see Vend tying into your wider company strategy? As the UK high-street struggles and ecommerce booms we believe the best route forward for bricks and mortar in general is to provide a customer experience that cannot be matched online – something that is particularly fitting to the footwear retail sector. Vend’s seamless shopping experience and loyalty features, together with our excellent sales team, have enabled us to build a customer base that keeps coming back to us. We’ve also used the software to allow store customers to benefit from the increased availability and choice offered by our online warehouse, with store staff using Vend inventory control to check warehouse stock and then process collect-in-store orders through our website. Vend has provided both expected and unexpected advantages to our business. We achieved what we set out to do in better integrating our online and store set-ups and are now able to offer retail store stock for sale online and warehouse stock visibility in our store; the latter of which has proved hugely successful for our store sales. We’ve also benefited from the Vend loyalty and gift card features and actively push these to our customers. Another big win for us has been Vend reporting which has proven to be both easy to use and very informative – one simple, but effective, feature on there is the ability to view sales and stock grouped by variation as at SKU level. For a shoe retailer, this allows us to view sales by style, as well as sales by size/colour – something we’ve never had before. How does Vend help support your P&L account? Vend’s easy to use reporting makes sales and profit reporting very easy – we can generate the figures for a VAT return in minutes. 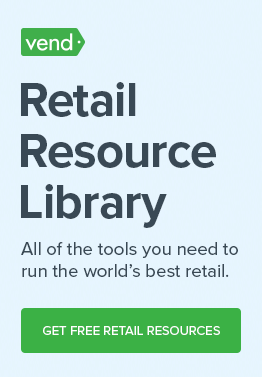 Do you have any advice for retailers just starting out? Market your business and products through all available channels. Even if you don’t sell online, online marketing is still crucial – you need Google Business listings and local SEO. It’s hard to see the ROI for many marketing methods but don’t lose heart – it will come!